full use of the space, can free raise the parking space quantity. Multiple security protection device to prevent falling, collision and overload. PLC control system, stable running, low noice. 1. 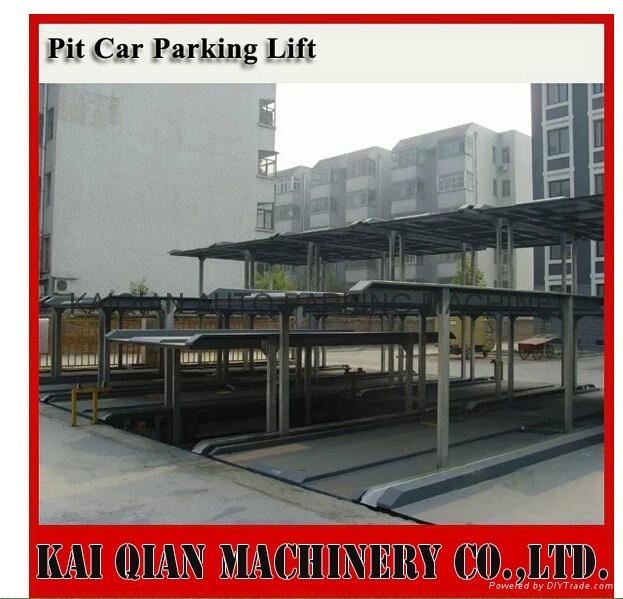 )The two levels vertical-horizontal parking system have the upper and lower floors. 2.) It can be placed on the ground and also can be placed under ground. 3. )The lower floor have one spare parking space for exchange. 4. )The lower parking spaces are at the same level as the ground, can directly access the vehicles. upper parking space fall to the ground, so that vehicles free access.